We offer a variety of different financing options, including interest-free financing. 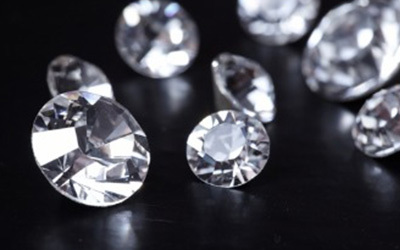 Depending on your credit and the amount of purchase, you can get 6 or 12 months interest free on your purchase (this goes for any kind of jewelry, not just a diamond engagement ring). 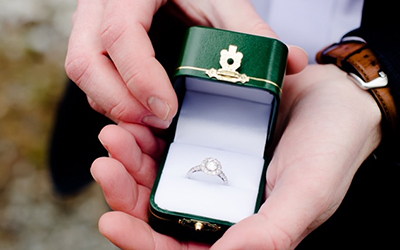 Depending on the strength of your credit and the type of ring you’d like to buy, you can always place the ring on layaway for a period of time and make payments while the ring waits in our safe. There are no credit checks or interest charges for layaway, because you don’t take the ring until it’s paid for in full. This is a great option for couples that have joint checking accounts, or a girlfriend that always seems to get to the mailbox before you do! We don’t mail out statements on layaways, we just ask that you make a payment every month and keep us in the loop. Out general policy on layaway is no more than 180 days and at least 20% down. But we’re very flexible if you want more time or need to make a smaller deposit. Some customers will opt to combine the two options and double their financing pleasure! Say you were approved to 12 months interest free, but you didn’t plan on getting engaged for 3 months. 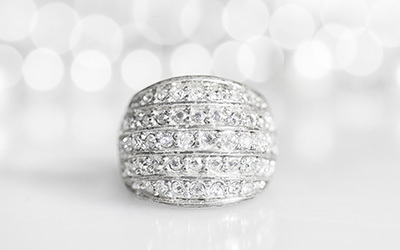 We can leave the ring on layaway for the 3 months and then run the financing when you’re ready to pick up and propose. There’s no reason to start the clock on the 12 months before you actually have the ring. Another way to combine the two is, say you’ve selected an engagement ring that costs $6,000 and you were approved for $4,000 in financing. You could put the ring on layaway while you paid off the $2,000 and then finance the remaining $4,000 when you’re ready to pickup. We also accept the more traditional forms of payment, like cash, checks, and all major credit cards, including Discover and American Express. 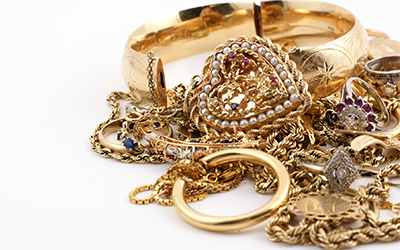 You also have the option of recycling old gold, silver, platinum and diamonds towards your purchase. We now offer the ability to get pre-approved for credit online. Answer some basic questions about your finances and see if you meet our minimum requirements for credit approval. Bring your pre-approval code in the store and you're on your way to the ring of her dreams! Please note that we do not currently accept the Texas Gold Connection card as a form of payment for online purchases. *Interest will be charged to your account from the purchase date if purchase balance is not paid in full within the promotional period or if you make a late payment. *Subject to credit approval. Some restrictions apply.